- Control CPU/GPU clock separately. - Save CPU/GPU clock state onto config. 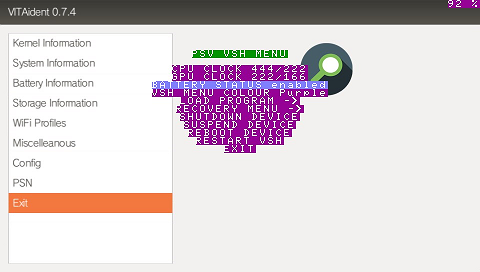 - VSH Menu colours for minor customization. - Quick launch Settings or VitaShell. - Reboot/Shutdown/Suspend device in game. - Back up PSN activation files. 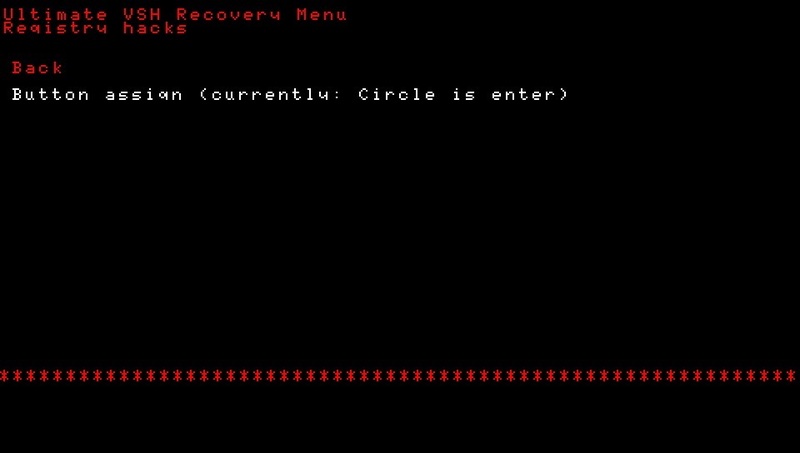 Please download and install the vsh_recovery.vpk if you want to use the recovery functions. Place vsh.suprx in the ux0:/tai folder. The test build does not contain oclock stuff ATM. 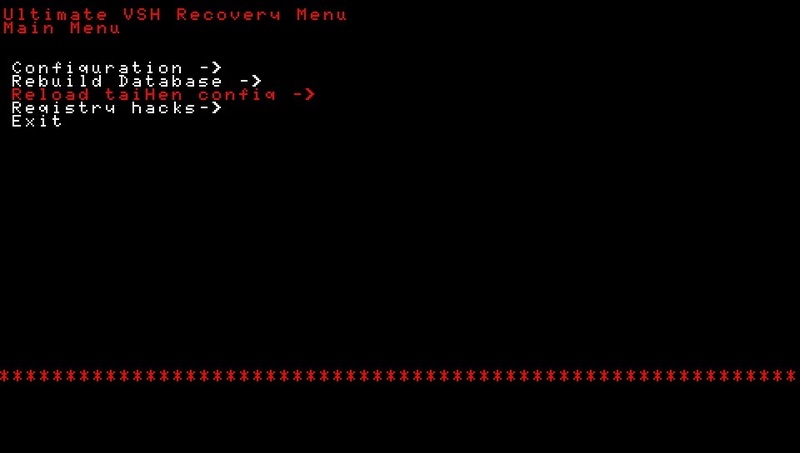 Here's a screenshot with an example of what you'd find in a recovery menu. Circle is not my enter button btw, like I said earlier the functions are messed up. I'll probably get back to this in like a week or so, I'm currently busy with school and finals. Does this work in live area? Nope, at least not now but it's a planned feature. I'll need some help from the molecule team for that one. Joel16 wrote: Nope, at least not now but it's a planned feature. I'll need some help from the molecule team for that one. Very cool! Can't wait to see functionality increase on this plugin! there is a ID for the live area..
Gringo466 wrote: there is a ID for the live area..
IIRC I was told we can't draw on SceShell, unless we used some sort of shared app framebuffer or something along those lines.